Tomorrow is a big day here. It is officially day #1 of marathon training. Yes, I said marathon. 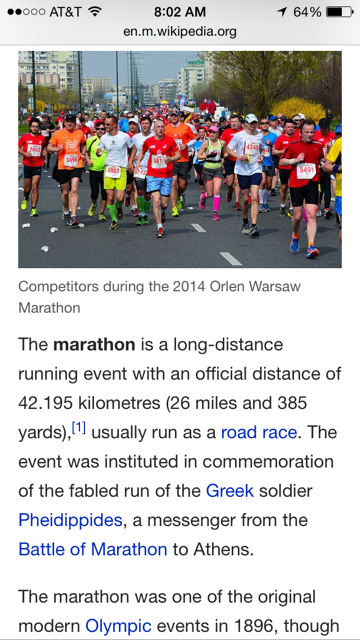 26.2. It just came out of my mouth. The girl who said she would never run farther than 6 miles. I really enjoy half marathons. Yup. I just said that too. I start training tomorrow with the San Diego Track Club. Wish me luck. I’m still in disbelief. The joke with my husband is that I’ll be marathon ready when he returns. My run buddy took that joke serious and convinced me to sign up for training. OK. So now I’m taking the joke seriously. Just like the Triathlon joke and we know where that lead me! Well, I do love to run.